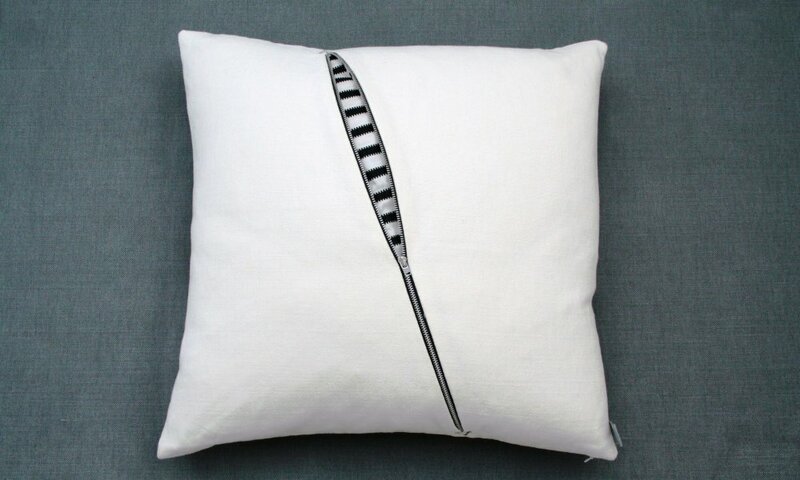 50cm square cushion in white linen with diagonal visible black metal tooth zip revealing black and white stripe interior. 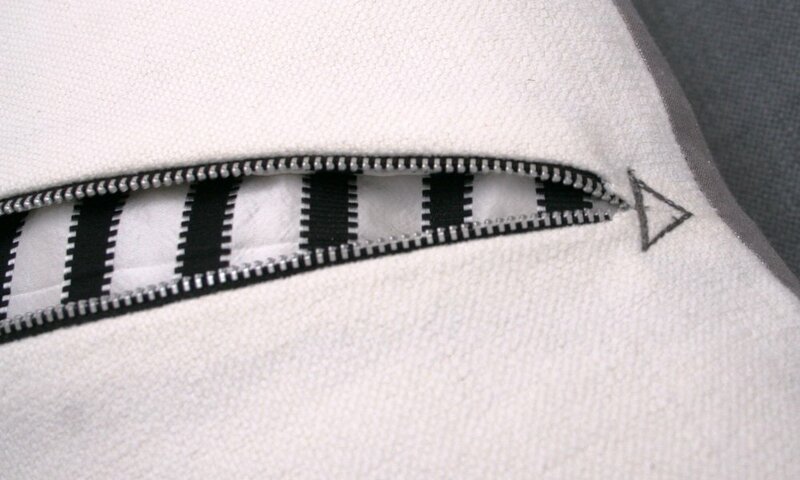 The back of the cushion is in silver linen and has concealed zip closure, feather pad and brand label. 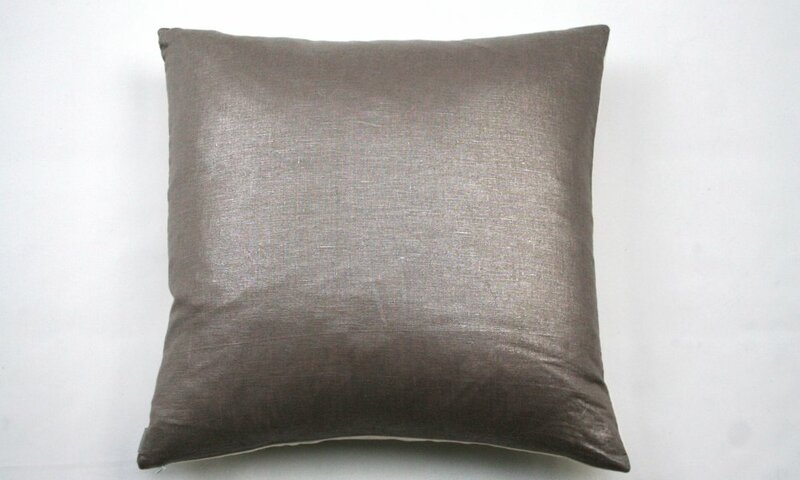 This cushion is dry clean only. Each Slash New York cushion is handmade and therefore might have slight variations from the image shown.